The students at Beckenham Te Kura o Pūroto (The school of the ponds) have a new classroom to learn and discover in – and its outside! The school is now a TREEmendous School after 880 native trees and shrubs were planted on Saturday, framing the exciting new outdoor education space. 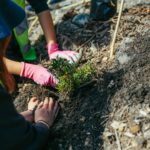 The school brought its outdoor learning dreams to life thanks to $10,000 from TREEmendous – a joint initiative between Project Crimson and the Mazda Foundation. The planting was completed through the collaborative effort of members of the school and local community, staff from local dealership, Blackwells Mazda, the Mazda Foundation and the team from Project Crimson. 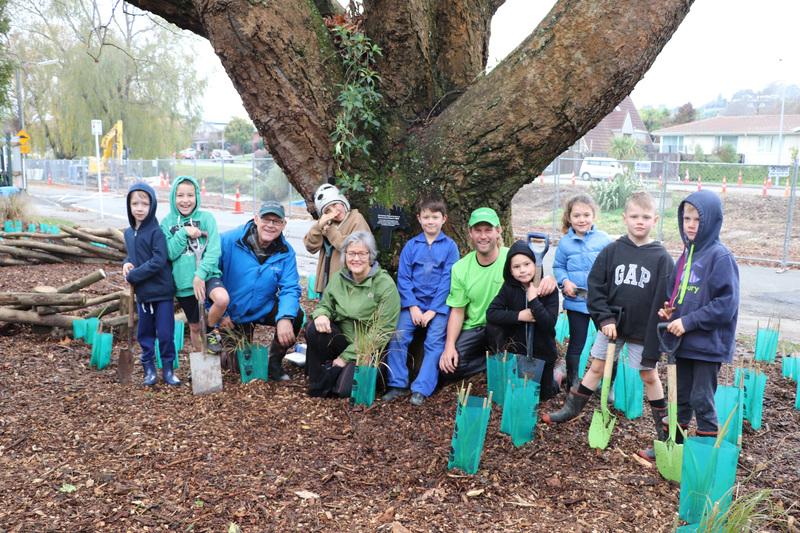 Conservation Minister Eugenie Sage, Ward Councillor Tim Scandrett and Christchurch Central MP Nicky Wagner all came along to check out the TREEmendous outdoor learning space and were thrilled by the school’s effort. Eugenie even helped by planting a punga tree! A previously under-used pathway, already home to significant native and exotic trees, was converted into an area where children can now play in and experience nature. Two spaces were cleared for timber tables, creating working stations for open-air group work. School Principal Sandy Hastings says the school is grateful for the opportunity to provide their students with a safe place to learn outdoors. “Many of our students are still showing post traumatic symptoms following the earthquakes and this area will provide teachers with a safe space where they are stimulated, engaged and involved in learning and exploring their physical environment. Hastings also thanked members of the school community and staff who worked tirelessly on the project. Mazda Foundation Chairman, David Hodge, says the school has a fantastic sense of community and their passion for nature was evident. Ahead of the TREEmendous event the students were treated to a visit by Ruud ‘The Bugman’ Kleinpaste and Riley ‘The Sharkman’ Elliott. Ruud brought along his insect friends and spoke with the students about native bugs and the importance of looking after them, while Riley explained how he overcame his fear of sharks and how we can take better care of our oceans. 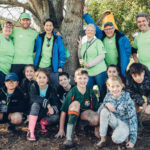 Beckenham Te Kura o Pūroto was the third school to be visited by the TREEmendous team this year, Clifton School in Bulls was visited in April, Trentham was visited in May and next up is Auckland’s Anchorage Park School in July. Judging is now underway for the next TREEmendous Schools for 2019. For more information visit http://treemendous.org.nz/ and keep an eye out for applications re opening early next year.